To produce these 1,000 billion bricks, the Asian brick industry consumes 110 million tons of coal per annum, another figure that is hard to imagine. If this coal was loaded on trucks carrying ten tons each, it would create the equivalent of a three-lane traffic jam of trucks around the globe. One hundred and ten million tons of coal – without counting the electricity used in brick production, the diesel for transporting the bricks – alone produce some 180 million tons of CO2, roughly one-third of the total CO2 emissions of the global airline industry ( 550 million tons of CO2 ). While some may argue that this is less than 1 % of the total world CO2 emissions, it is still a lot of energy and the potential for savings in the brick industry is enormous. Up to 40% of the 180 million tons of CO2 emitted by the Asian brick industry could be saved just by switching to more efficient kilns such as the VSBK, but further energy savings could be made from introducing hollow bricks. This could reduce directly the energy used for firing (a lower mass of clay to be fired) but also through better insulation of walls made of hollow bricks, thus reducing the energy required for heating and cooling of buildings. This aspect is especially relevant, as in urban areas of Asia the share of air-conditioned buildings is increasing very quickly. 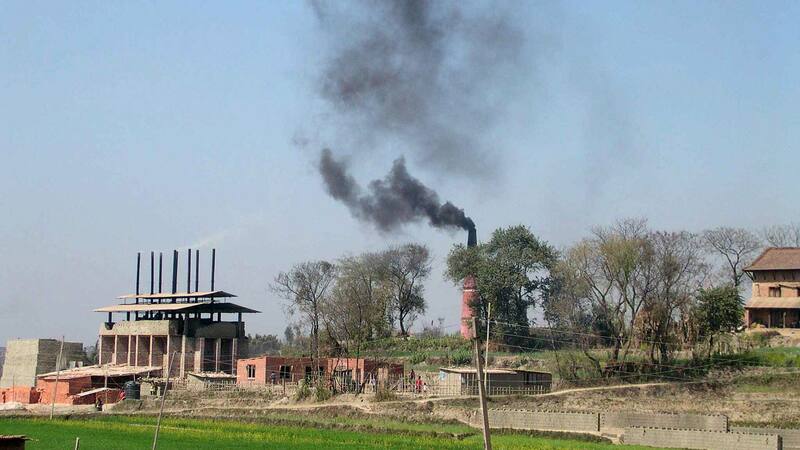 Even if we calculate very conservatively that only 25 % of these CO2 emissions can be saved, some 44 million tons of potential CO2 savings are possible by introducing more efficient brick kilns and resource efficiency measures in the Asian brick industry. If we consider, higher energy savings of 60 % in brick production, it can result in CO2 savings of 108 million tons/year, this is equivalent to the potential savings predicted in the airline industry through the introduction of the new Boeing 787 Dreamliner (if all airlines switched to the 787 aircraft which is claimed to have a 20 % better energy efficiency).